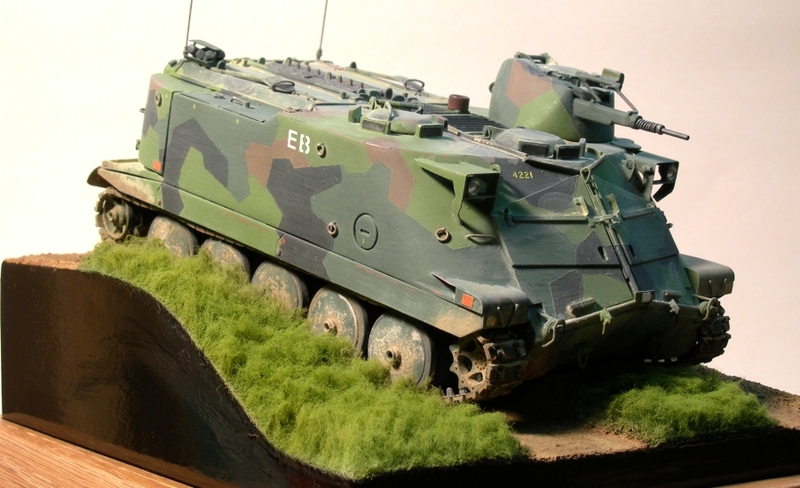 This nice model of the Pbv 302 has been built by Benny Andersson. Benny has written a short article about his work. It has been translated by me, so all errors are probably my fault. 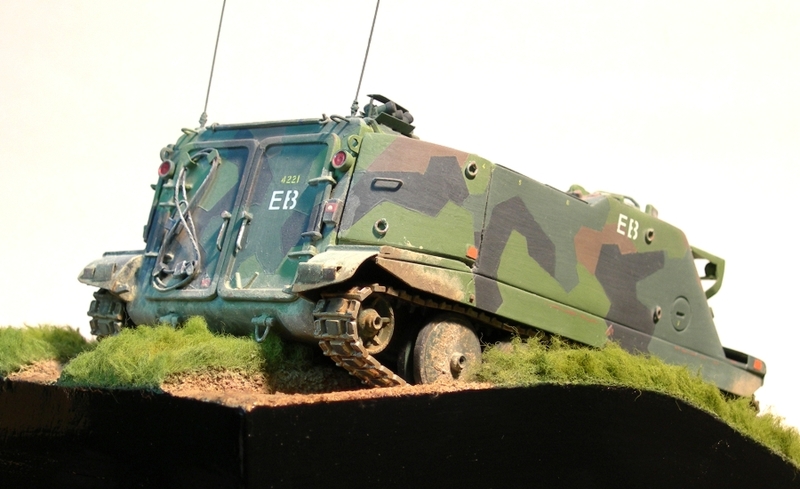 All images of the model is © Benny Andersson. 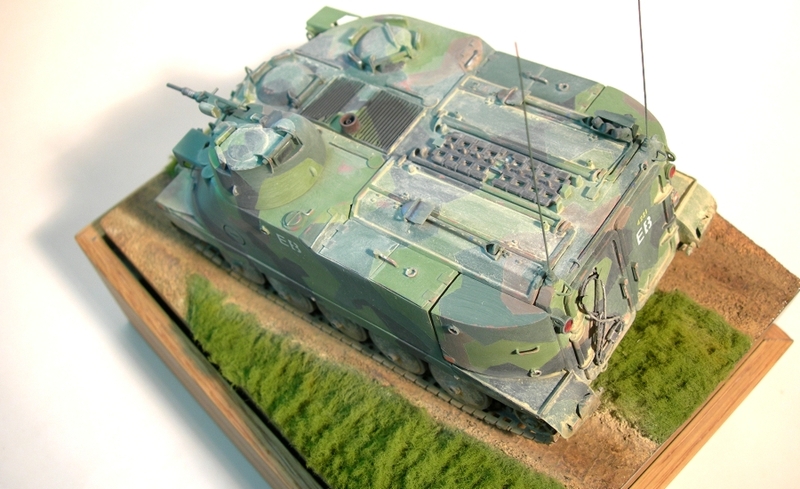 I hope you´ll like the model as much as I do. 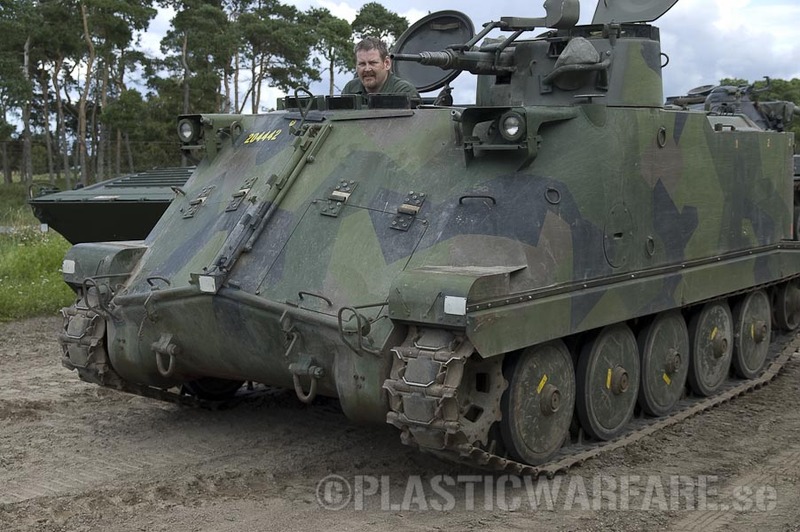 Pbv 302 is in many ways similar to the American M113, which was tested in Sweden in the 60’s. 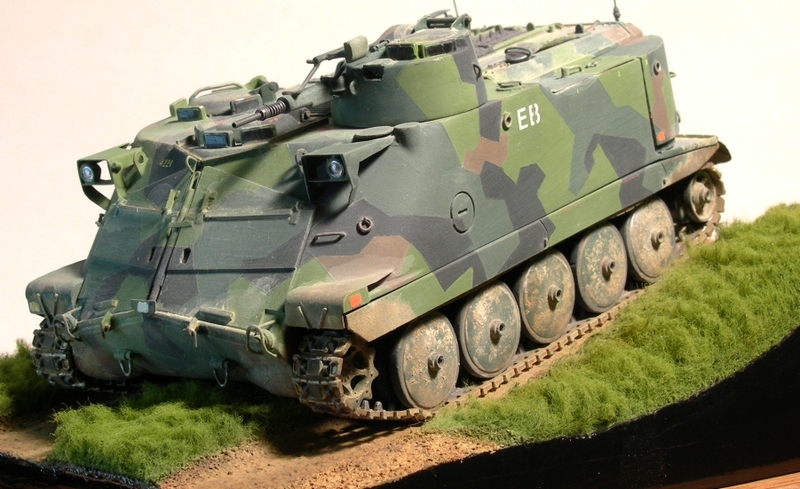 The task of producing a new APC to the Swedish army was however given to Hägglunds. 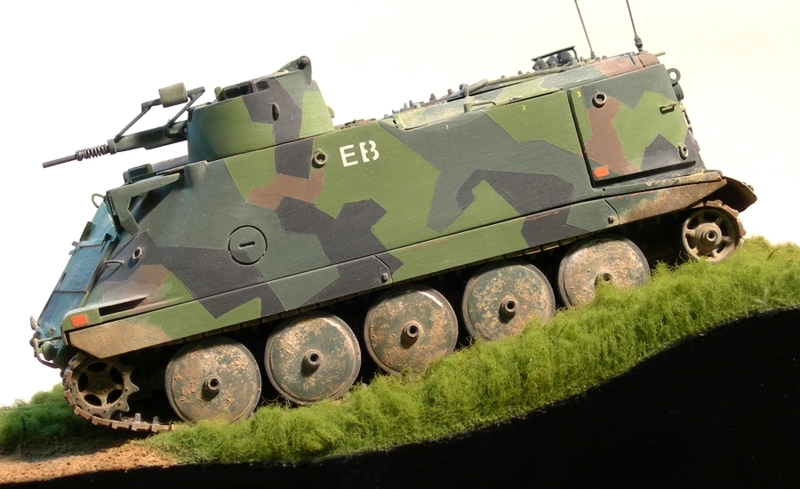 Early in service the Pbv 302 used the same track as the M113, before it was replaced by the M70 track. 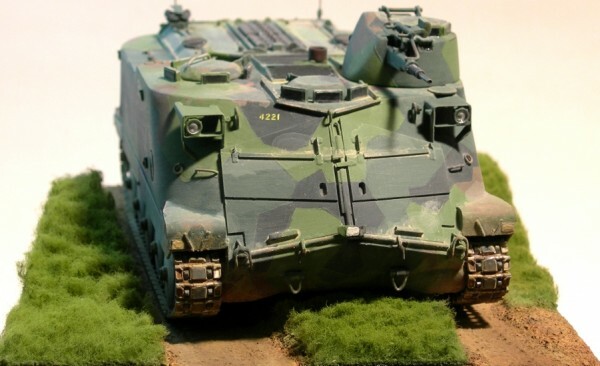 This inspired me to to use the Tamiya M113 as a base, with a new hull from plasticard around it. 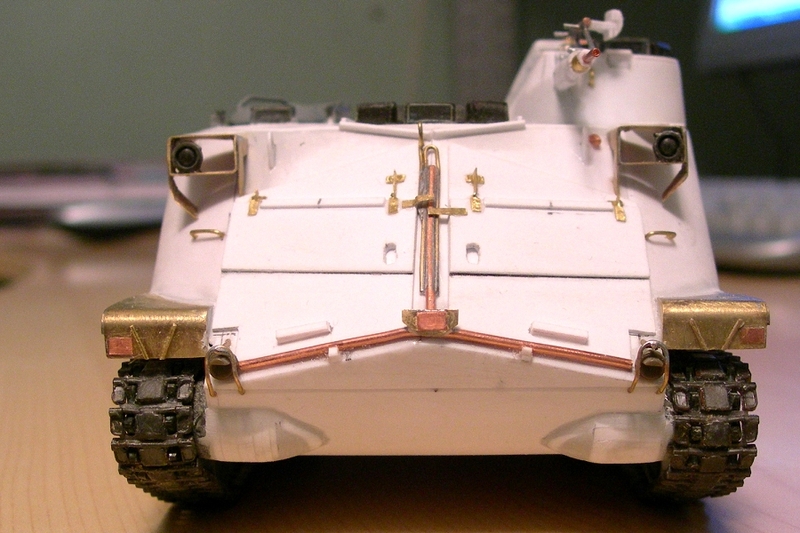 I decided to build an early version with the smoke launchers on the combat hatches to the rear, and a four digit registration number. 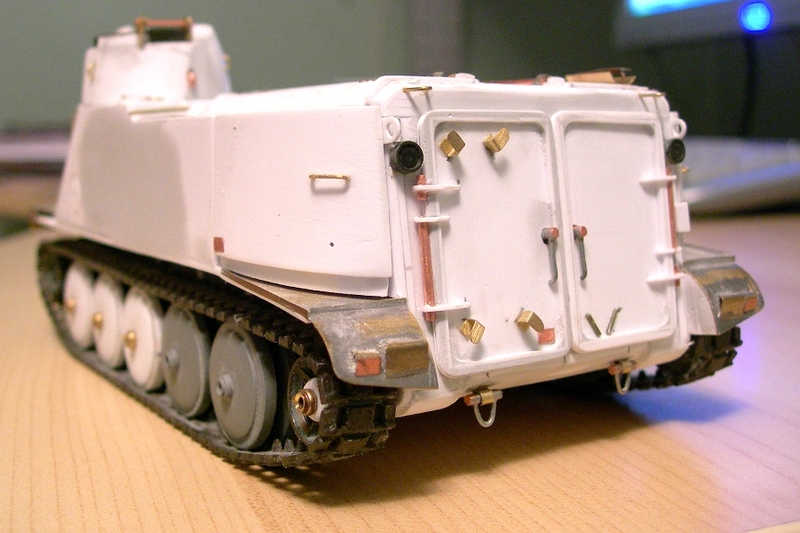 The M113 track links apparently caused a lot of vibrations due to their larger size, but they appear to have remained in service until the 90’s, so a more modern vehicle with the smoke launchers on the turret could have been built as well. 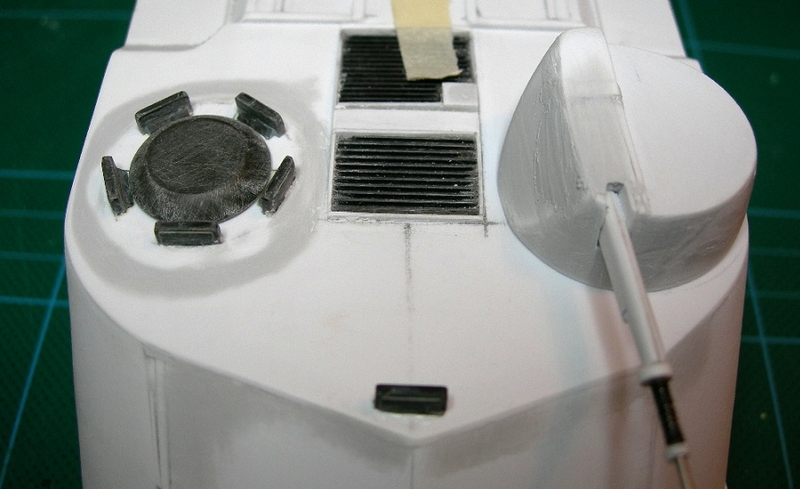 The hull was built with 1mm plasticard. 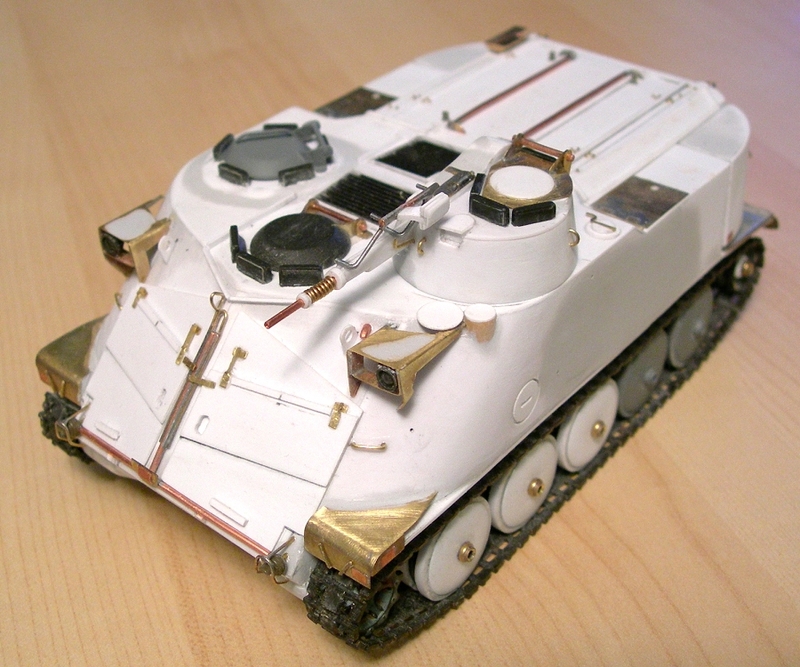 Some details from the Tamiya kit was modified and reused, like lamps, periscopes, hatches for the driver and commander. 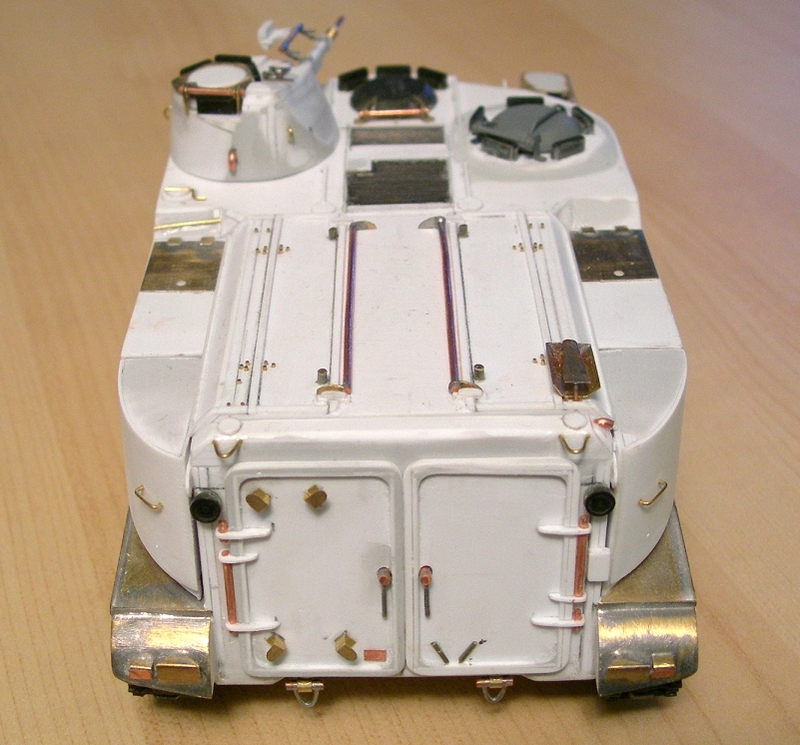 Most items had to be built from scratch of plasticard and brass and copper wire in various dimensions. The mud guards are soldered 0.3mm brass. It is thin but durable. 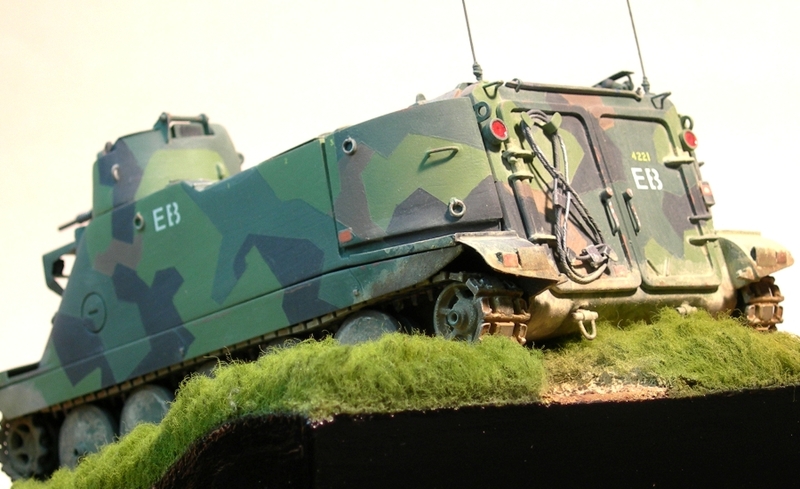 The vehicle was painted using regular grey auto primer and the camouflage was painted using standard Humbrol enamels since I am used to working with them. The colours used were 149 (dark green), 80 (light green) and 33 (black). 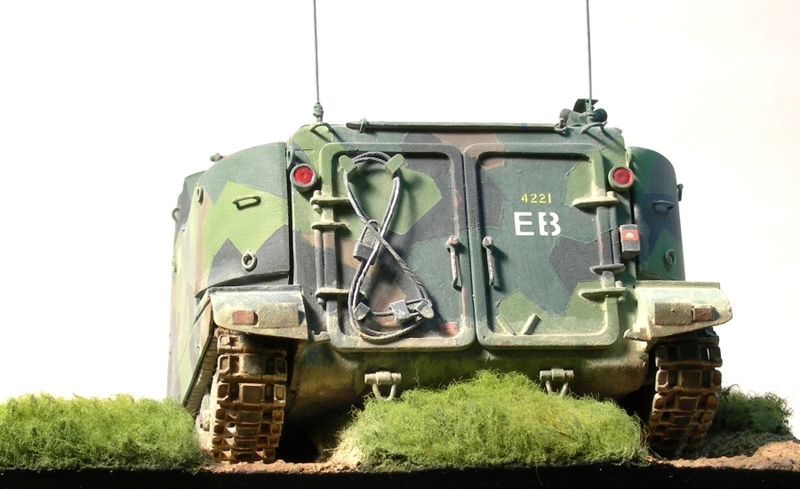 The decals for the various stencilling and registration number comes from the Echelon decals for Strv 122. The call sign letters (Echo Bravo, or Erik Bertil in Swedish) are rub down letters bought in a paper store. Everything was then flat coated with Humbrol and weathered with dry pastells bought in a crafts store. This entry was posted in Finished work, Gallery, Swedish Plastic. Bookmark the permalink. 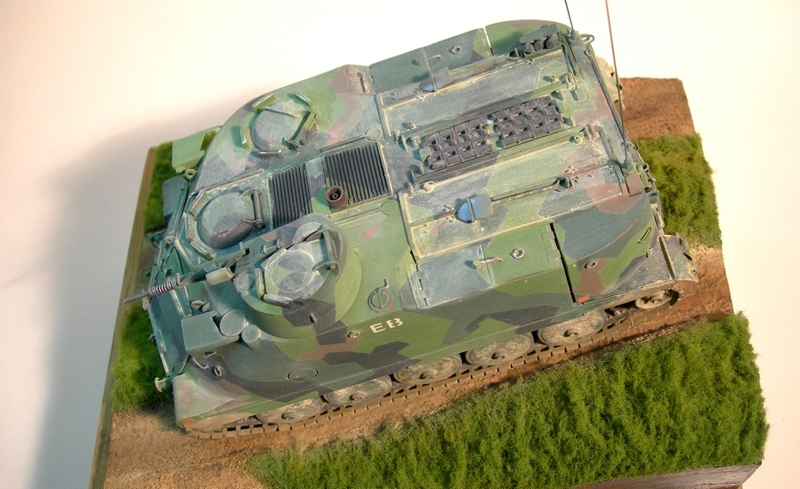 It is so good to see a Pbv 302 in 1/35 scale, great job and fantastic scratch-building workmanship. Det enda direkta felet jag kan se, är att plåtskyddet för strålkastarna ska vara i höjd med taket och inte sitta en bit ner på frontplåten som på modellen. Annars ett toppjobb! 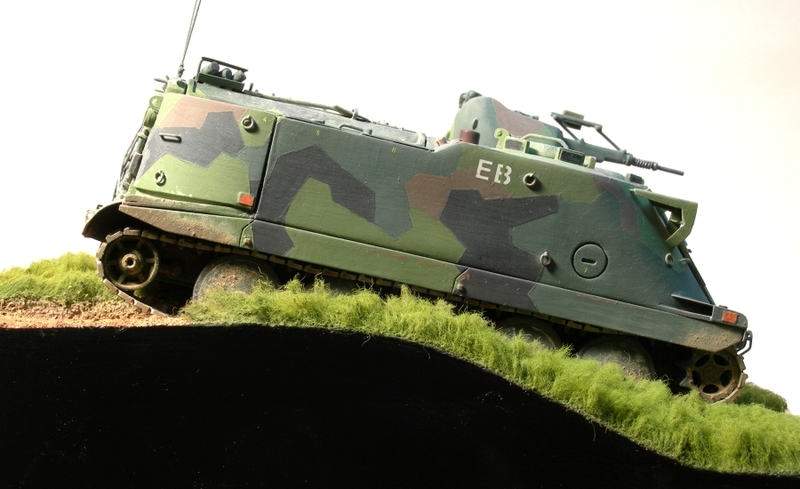 I was a colleague to Sven many years ago and saw his work, I have built some models, but I am not even in the ball park of what you guys are doing. I am Swedish, but I am residing in Canada and I don’t have a Swedish keyboard so I prefer to write in English, if you don’t mind.